@slobely838, have you looked into any possible work-study options? I hear these jobs are very easy, where you can pretty much do your homework on the job and still get slightly reimbursed for tuition. Even Suze Orman no longer considers student loans as good debt. At least according to an episode I watched this year. The main majority of people I know with college degrees, many with Masters Degrees are slaving away making $10/$11 per hour in a call center because they cannot find work. In fact, I was one of the FEW people in the call center I worked in without college.These people will likely NEVER be able to pay off their loans because the hourly rate barely covers their living expenses.These are people who worked very high paying jobs in multiple industries who lost their jobs after the 2008 economic downturn and may cannot get their foot back in ANY door.Current graduates are finding it difficult to even obtain a job for minimum wage. Thanks for your post. I like Suze Orman but I wouldn't say I'm the biggest fan of her tips. Recently, she told everyone to start charging everything on their credit cards and building a massive balance pretty much so that people will have cash to use. I didn't necessarily think that was the greatest advice. She does give out good advice though, don't get me wrong. I know many people who graduated the same year as I did, who have great jobs and have not been laid off. 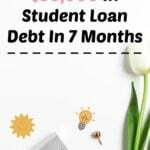 However, I feel that my friends who graduated this past May are not having as great of luck finding anything.I would say that there is a limit to how much in school loans you should have. I have paid a lot of my college through scholarships, grants, installment plans and also just paying the bill upfront. However, most of my debt is from my MBA right now and I do not regret that at all. I'm not sure how it's like in other parts of the country, but the 5 main colleges where I live do not offer any kind of grant or scholarship for their masters programs at all. So I had to take a federal loan. However, interest is not gaining on these loans, so I do not feel like I am at a loss. Also, I would like to point out that the job situation is not as bad where I live. Most of my friends that graduated this past semester are not from my city. I guess I should have said that they are having problems getting jobs where they are from (Chicago, Omaha, Milwaukee, etc.) My friends who live here, pretty much had no problem finding or keeping a job. I worked throughout college and relied on scholarships and grants to get through private university…. and I graduated without student loans and without my parents covering my tuition or expenses. I don't look down on other people for taking out student loans, but for me, I was so terrified to take out a loan for school that i just couldn't…I was too worried I wouldn't have a job to pay them back… so I crammed as much school in as I could. I graduated in 3.5 years instead of 4 and I commuted my last year because I wouldn't take out the loans from housing. and i'm glad I didn't. I was able to do so much more financially post college then I would have been able to if I'd had student loans… especially because i'm doing NOTHING that has to do with my BA right now. Thanks for your post South County Girl!Good for you! I'm extremely jealous that you didn't have to take out any loans. 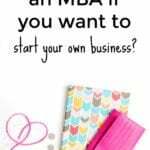 And I agree, at first I was extremely terrified to take out student loans, well I still am terrified that I have them, but they are in deferment until I graduate from my MBA program. They are federal loans, so I do not owe any interest until they are pulled out of deferment. I have been making payments on them, and soon I plan on upping my payments by at least double.I commuted my whole three years. I had an apartment and eventually a house to pay for though. My dad passed away when I was 18, so I didn't have anywhere to live, or otherwise I would have lived at home and applied all of the money that I would be spending on rent and a mortgage, on my tuition bill. Graduates here in central Florida may be able to get a minimum wage job because they are still young. Many though cannot even get that.If you are say 40 years old, then those minimum wage jobs are scarce anyway because the employer knows (assumes) that this person with a degree who USED to have a good job will likely not stay long term.Pretty stupid assumption because that person may be able to work their way up in a management position and decide to stay. Look, people (it was even on the local news) are BEGGING for anything (cleaning bathrooms, sweeping) This was the case at a recent job fair where many with impressive resumes and educational background attended. The recruiters were astounded by the desperation. They themselves (recruiters) are constantly worried about getting laid off themselves. What does that tell you?Student loans? Not a good plan. Scholarships, grants etc. and even SAVING for college (gee what a novel idea, actually saving for something) would probably make more sense. South Country Girl was very smart in how she went about getting her education. Student loans would have been a huge burden to bear. Nothing will eliminate student loans. Not bankruptcy, nothing. I have no college, but I did enroll in massage school back in 2008. Only completed 4 months because I got sick and could not finish.I took on student loans because the massage therapists that I knew were making $50+ per hour. I figured that I could easily pay it back.Well, 4 months of school cost me over $8,000 and I never even got a diploma and so cannot practice massage. However, the massage therapists that I know are now out of business because people are not paying for things like massages the way they were before 2008.Now, without a job I have no way to pay back the loans. It does not matter. I'm obligated. Luckily I have a forbearance for now.And no, Suze Orman is not the know all be all. 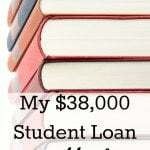 I was just surprised how her attitude towards student loans has pretty much done a 360.Do any financial experts really know what the answers are these days? No one knows what the heck is going to happen next in this climate. @Anonymous, thanks again for your input. If you would like to do a guest post or anything on this matter, please e-mail me, you seem very interested in this topic, which is good. I'm sorry to hear about how it is in central Florida. And I agree, it is sad that employers won't hire people who have experience, for fear that these people will up and leave when they find something better.However, I do not regret my loans. I probably would regret them if I was unable to find a job though. I wouldn't be where I am today if I didn't have them. Well, consider yourself one of the fortunate ones. It can all change on a dime though. I know. One illness and I was 35k income to now a 0k income. The one household income that is left just barely covers things. By the Grace of God we scrape by though.I would get those loans paid off as soon as possible and out of your hair. Then you will be free and clear of them if something were to change on a dime. Like I said bankruptcy won't allow discharge of student loan debt. Plus, you never know when our broke government could come calling for everyone to pony up their student loan debts in full. Probably won't happen, but the government seems to do anything they want these days. Thanks. I haven't always been fortunate though, so I know what you mean. And yes I know bankruptcy won't discharge student loan debt, which I believe is a good thing because people should be responsible for what they signed up for. Thanks Red for your comment! We are very much alike. My goal is start paying off around $1,000 a month. My student loans don't come due until the end of 2012, and there's no interest building on any of them besides my one loan for $5,700, which I am currently trying to pay off in the next 6 months.